FREE ADMISSION. A collection will be taken to defray the costs of the event. 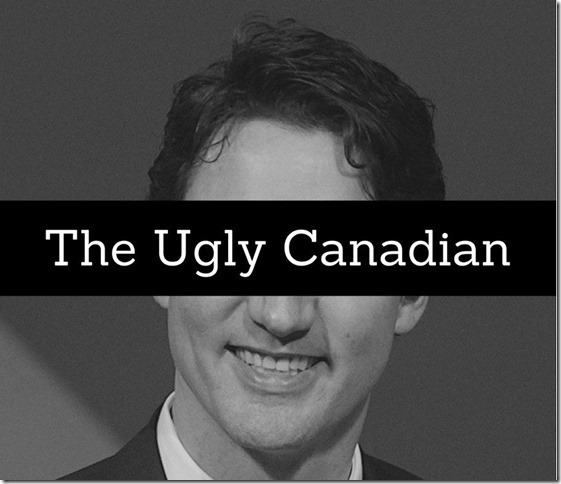 Back in 2012, Yves authored a book entitled, “The Ugly Canadian: Stephen Harper’s Foreign Policy.” With the election of Justin Trudeau’s government in 2015, many Canadians, concerned about Harper’s ugly foreign policy, breathed a sigh of relief. But was this sigh of relief justified? During its first two years Justin Trudeau’s government has continued Stephen Harper’s pro-corporate-military-US centric international policies. The Liberals have sold armoured vehicles to the Saudi monarchy; supported mining companies responsible for human rights violations; announced plans to massively increase military spending; isolated Canada from world opinion on Palestinian rights; sanctioned Venezuela’s elected government; ramped up Canada’s military presence on Russia’s border; deepened ties with the Gulf monarchies; boycotted an international initiative to eliminate nuclear weapons, and increased Canada’s commitment to the US-led Coalition in Syria and Iraq. This talk will unmask Trudeau’s ugly foreign policy. Dubbed “Canada’s version of Noam Chomsky” (Georgia Straight), “one of the most important voices on the Canadian Left” (Briarpatch), “in the mould of I. F. Stone” (Globe and Mail), “part of that rare but growing group of social critics unafraid to confront Canada’s self-satisfied myths” (Quill & Quire) , “ever-insightful” (Rabble), “Chomsky-styled iconoclast” (Counterpunch) and a “Leftist gadfly” (Ottawa Citizen), Yves Engler’s published seven books about Canadian foreign policy. New Vision United Church is located across from Hamilton City Hall at 24 Main Street West, Hamilton, L8P 1H2. This wheelchair-accessible venue is situated next door to the HSR MacNab Street Transit Terminal. Ample (paid) parking is located behind the church off James Street South or across the street behind Hamilton City Hall. Bring some cash: Yves will be selling copies of his nine previous books at very attractive discount prices!